So what exactly is World Book Day? World Book Day is a celebration that recognises authors, illustrators, books and most importantly celebrates reading! In fact, its the biggest celebration of its kind currently being celebrated in upwards of 100 countries all over the world! Here at I Love Fancy Dress we would not want you to miss out on such a great celebration so we have put together a top 10 list of the costumes that are sure to make you look the part! 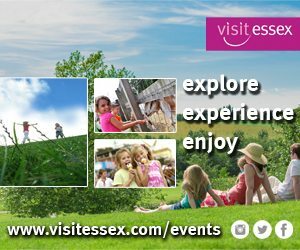 And make sure to get your exclusive Essex Mums discount, just enter: EssexMum10 at the checkout. We are all familiar with that Horrid Boy from the T.V causing chaos wherever he goes. Nows your chance to become him and get up to some mischief of your own. This simple fancy dress idea will make you instantly recognisable! Simply match this Top with a pair of jeans and you’re sorted. At only £5.99 you certainly cant go wrong! Could you talk in rhymes all day? Well dressing as Cat in the Hat this World Book Day might just give you an edge! We offer both an Adults and Childrens dress up for this character so grab one of each and go as a duo! This set includes a Quality Red and White Striped Hat, Matching White Gloves and a Large Red Bow Tie. Another brilliant and cheap fancy dress fix! ?Hop down the Yellow Brick Road all the way to your World Book Day event in this eye-catching Dorothy Costume! You will be instantly recognised as the girl that made her way to the Emerald City! When you’re ready to go home after your party simply click your heels three times and say those magical words ‘Theres no place like home!’ With sizes from Small to XLarge you can be sure to find the size to make your little one look brilliant! This costume includes a Blue and White Gingham Dress with Large Red Buttons and a Matching Hairpiece! Watch out for the Big Bad Wolf when you wear this Riding Hood Costume! This costume comes from our Fairytale Collection and features a Red and White Checked Dress with White Edging on the Sleeves, a Blue Apron with Big Bad Wolf Print and a Satin Feel Hooded Cape with Neck Ties. Red Riding Hood is a tale full of dramas and thats what keeps drawing people back to it! What better reason is there than that to dress up as her this World Book Day. Just remember, When you believe in the legend, then you have to be aware of the Wolf! Oompa Loompa Doom-Pa-Dee-Do, We have the perfect costume for you! We are all familiar with the little orange factory workers of Charlie and The Chocolate Factory and how much they love a good sing song. With I Love Fancy Dress Costumes for both Adults and Children you can all join in with the fun and sing the whole day through! Our costumes Include everything you need to become a native of LoompaLand! Dress up as the lady with the Glass Slipper and go from rags to riches with this wonderful Blue Princess Costume. You will certainly look the part at any World Book Day event in this outfit fit for a princess! This costume includes a Long Ball Gown with Puffed Sleeves, Sequin Chest, Skirt Panels and a Blue Tie up headband! Hop on your Pumpkin Carriage and Just make sure you’re back by midnight! “Wingardium Leviosa” Conjure up some magic at your World Book Day Event with these simple yet brilliant Harry Potter / Hermione Style Wizard Costumes! Simply pick up your Specs, Wand and Wrap yourself in this cloak and you’re sorted. As a student of magic you’re now ready to show off your skills at your event! When you’re finished you can simply hop on your Broom and make it back in time for a game of Quidditch! You’ll be the fairest one of them all in this Snow Princess Costume featuring a Blue and Yellow Princess Dress, Velcro Cape, Headband with Red Bow and a Red Belt. This is another costume from our ever growing Fairytale section that will without a doubt have you picking up best dressed awards! Finish this costume off with a simple Apple in the hand and you’re sorted! Wheres Wally is arguably the most popular book character there has ever been! Known for his iconic Red and White Striped Top, Bobble Hat and Glasses he is instantly recognisable, and so will you be as thats what we are offering here at I Love Fancy Dress! With various sizes available you wont have to look anywhere else! This costume will have you making sure people find you at your party just to show it off! Frozen has taken the world by storm since it was released in 2013 and although not strictly a book character we couldn’t help but throw this costume in! With the Ice Queen herself Elsa becoming one of the worlds most talked about characters you can be sure to turn up to any event and have people in awe as you walk in. This costume includes a Blue Satin Dress with Sequin Bodice and Snowflake Print Organza Cape! Let it go, Let it go!